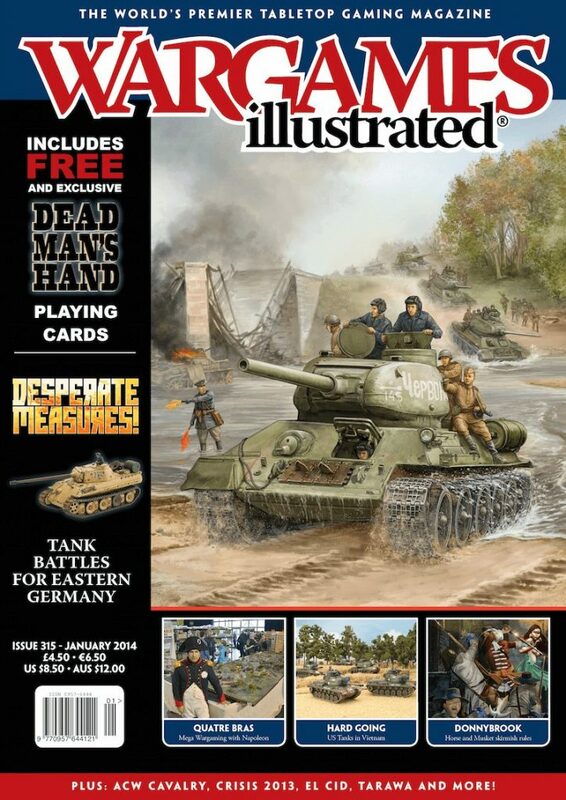 The January 2014 issue of Wargames Illustrated. In this, the first of two theme articles for this month, Mike Haught discusses the theory behind ‘divide and conquer’, then brings the theory to the wargames table in the form of battles set in the “pockets” resulting from the practice, with a focus on pocket battles in Flames Of War. Clarence Harrison and Barry Hilton present the thinking behind the latest offering from Warfare Miniatures, Donnybrook, a game focused on skirmish battles in the late 17th/early 18th Centuries. 1945: It is a time of desperate attacks and defenses. The seemingly unstoppable Red Army is grinding its way to the borders of the Reich. In this battle report a German battlegroup, made up of Panzer students, has been cut off from the front lines and is fighting its way back to its lines through hardened Soviet troops. We move on to the fifth installment of this popular series with Don Effinger and Mike Evans looking at the Cavalry branch of both armies during the Civil War. Uncle Duke Seifried has been quiet for the last few years, but he hasn’t been inactive. Here we present his latest “extravaganza”, created for one of his European patrons; thousands of miniatures and a hefty slice of medieval Valencia. We present an extract from the Wargames Illustrated special publication; Mega Wargames, in the form of this article on the Battle of Quatre Bras. Great Escape Games have provided this scenario and special rules for using pistol-packin’ civilians in Dead Man’s Hand. We have reached the penultimate article in this ongoing series, in which Mr Hoare describes the potentially heroic demise of our characters, and presents a suggestion for campaigning in the Sudan. Mike Majors, of Warlord Games, shows off the fantastic gaming table he built and toured around the US show circuit in 2013, showcasing this desperate battle in the Pacific theater. A short hop across the English Channel took our UK Editor to one of the largest shows in continental Europe – Crisis. Here we bring you a look at some of the best games from the event. If you were at HISTORICON 2013 you may have seen a massive slice of the Gettysburg battlefield on display. Pete Panzeri guides us through the enthusiasm required to re-fight such an iconic moment in US military history on such a scale. In another article from our Evolution of the Tank series, Joe Trevithick describes the US armored forces during the Vietnam War. With details of their uses, tactics, and even identification markings, this is a great jumping off point for further study. 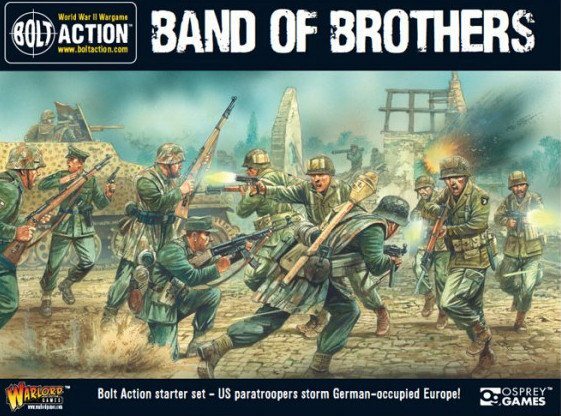 Regular columnist Alessio Cavatore discusses how he dealt with wargamers sensitivities whilst writing Warlord Games Bolt Action rules.